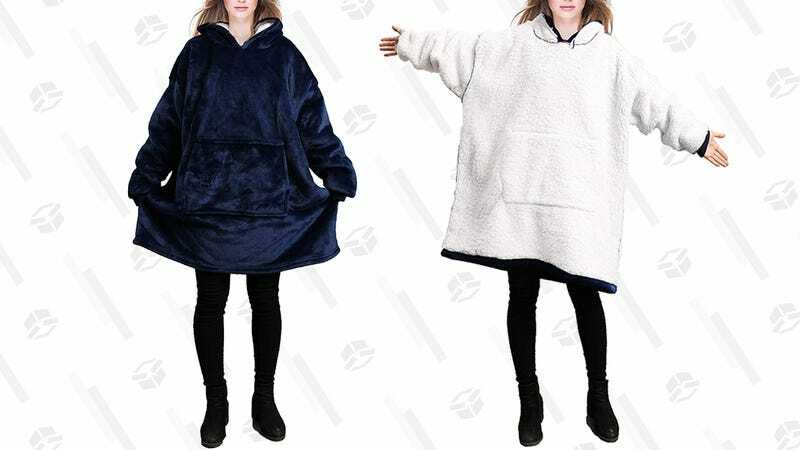 This oversized sweatshirt-blanket is one-size-fits-all and long enough to cover a good portion of your legs. One side features super soft sherpa material, while the other features flannel in either navy or red, but both sides have a handy front pocket in which to store your phone, or just your hands. It will definitely replace all your regular, non-hooded and/or sleeveless throw blankets and hey, maybe even your clothes, too — no judgement.